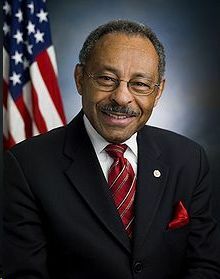 At the time of this writing, Illinois US Senator Appointee Roland Burris is approximately one hour away from leaving is Washington DC hotel to go to the US Capital to be seated as the junior US Senator from Illinois. Yesterday, a CNN commentator called Mr. Burris an embarrassment because he accepted the US Senate appointment from a troubled and grossly unpopular Illinois Governor and is attempting to fulfill his obligations as the Governor appointed Senator from the state of Illinois who is to fill the post vacated by now President-Elect Barak Obama. Mr. Burris is not an embarrassment, but a national hero. During a time when members of the television news media in the United States seek to sway public opinion according to their own views, Mr. Burris has the audacity to stand on the rule of law and state what is legal and act on it. That makes Mr. Burris a national hero. Although public outrage at the alleged behavior of the Illinois Governor is quite understandable, Mr. Burris should be applauded for having the courage to demonstrate the "way out" of an awkward situation by following the letter of the law as set forth in the Illinois Constitution and any other appropriate laws that apply to this difficult situation. To call Mr. Burris an embarrassment is an affront to the rule of law that governs this nation as well as all that is decent in our society. For a television news media commentator to call Mr. Burris an embarrassment is a disgrace to the profession of journalism. I do not have children. However, if I did, I would certainly take the time to discuss Mr. Burris' actions with them and tell them that is what a real life hero acts like. I would also point out the behavior of members of the news media who have insulted, poked fun at and spoken evil of Mr. Burris and tell them how despicable such behavior is. The situation that exists in Illinois relative to the alleged pay for play scandal is most unfortunate for the state and for the nation. However, life goes on and the people's business must be attended to. That cannot be accomplished by repeatedly speaking evil of the Governor and his appointee. The court system and the Illinois legislature are the appropriate places for that unfortunate matter to be properly addressed. Citizens everywhere should be patient and allow the appropriate procedures for addressing such matters to be executed and come to their own conclusive ends. Repeatedly poking fun at Mr. Burris for having the will and the courage to serve the people of his state at a time when that state needs someone is such a despicable action that there are almost no words to describe it. The quality of persons in the television news media is at an all time low. Wisdom and common decency seem to have no place there. The rule of law is not respected. Innocent until proven guilty is being assaulted by guilty by reason of public opinion. Objective reporting has been overthrown in favor of swaying public opinion. Something needs to be done. During the time of financial crisis in this nation, it is not unrealistic to think that television advertising dollars may be hard to come by very soon. Under those circumstances, the television news media may have to experience budget cuts. If that happens, let's hope that there will be a flushing out of personnel who really should look for a different profession and a return to high standards of journalistic reporting. Those high standards should include employing intelligent persons of wisdom, decency, integrity and common sense. 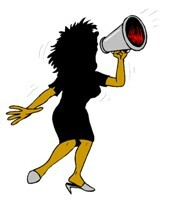 Right now, such persons in the television news media appear to be scarce.